FREDERICK THE GREAT. Very Good condition with minor edge rubbing. FREDERICK THE GREAT'S INSTRUCTIONS TO HIS GENERALS. This translation is based upon the contemporary Faesch translation to French. #91 - KOLIN 1757. Frederick the Great's first defeat. Campaign #91 - 2001 1st Edition, Text by Simon Millar; Color Plates/Illustrations by Adam Hook. From the Osprey Campaign Series. First Editions for the lower numbered books in the series are out-of-print. Frederick’s Orders is an annotated and illustrated version of Frederick the Great’s 1754 instructions to his infantry and cavalry. Duffy, Christopher. The Army of Frederick the Great. Condition: Acceptable. The Book Place. BOOK.880 . ASK FOR DETAILS ON HOW TO GET AN INSTANT QUOTE! Combined Publishing. A well-researched life of a military genius. CHRISTOPHER Duffy. THE MILITARY LIFE OF FREDERICK THE GREAT. Publisher: Osprey Publishing; 1st edition (July 25, 1991). Frederick the Great's Army (1) The Cavalry (MAA 211). Language: English. 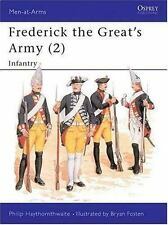 The Army of Frederick the Great by Christopher Duffy - Second Edition, 2nd Ed. Missing dust jacket. Tan spotting on page edges. Wear on edges. No writing or underlining. 5 out of 5 stars - The Army of Frederick the Great by Christopher Duffy - Second Edition, 2nd Ed. 1 product rating1 product ratings - The Army of Frederick the Great by Christopher Duffy - Second Edition, 2nd Ed. Duffy, Christopher, Emperor's press. Summary: A thoroughly revised and expanded new edition of this standard work on the Prussian Army of Frederick the Great. 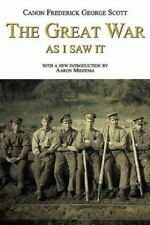 It was a famous army, but it is not always understood. Manufacturer: Osprey. Frederick the Great was not renowned as a great artillery enthusiast, however he did recognize the importance of artillery and greatly expanded the arm. SW Shrink Wrapped. Still in the original factory shrink wrap, with condition visible through shrink noted. Osprey Men-At-Arms #240 "Frederick The Great's Army 2 Infantry"
It is in very good condition without any highlighting or notes on the pages. Publisher: Osprey Publishing (June 15, 1973). Uniforms are shown in full illustrated detail. Paperback: 50 pages. Manufacturer: Osprey. Frederick the Great's Army (1) - Cavalry VG . The condition of the item you will receive is VG . Our grading system is listed below for your perusal. VG Very Good. Complete and very useable. (d20) D&D - 4th Ed. D&D - AD&D 1st D&D - AD&D 2nd Ed. World of Darkness - Old Ed. Manufacturer: Osprey. Throughout the wars undertaken by Frederick the Great, probably his greatest resource was his infantry.